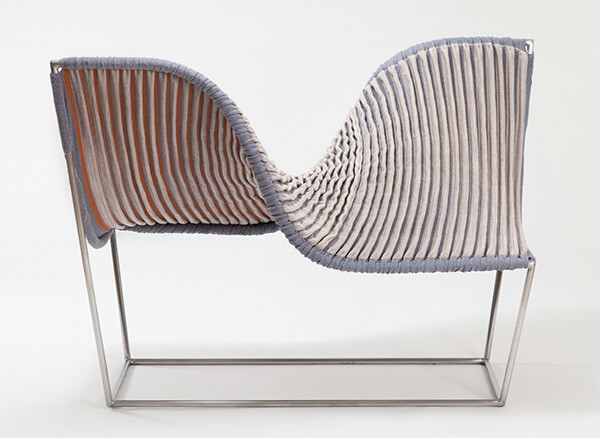 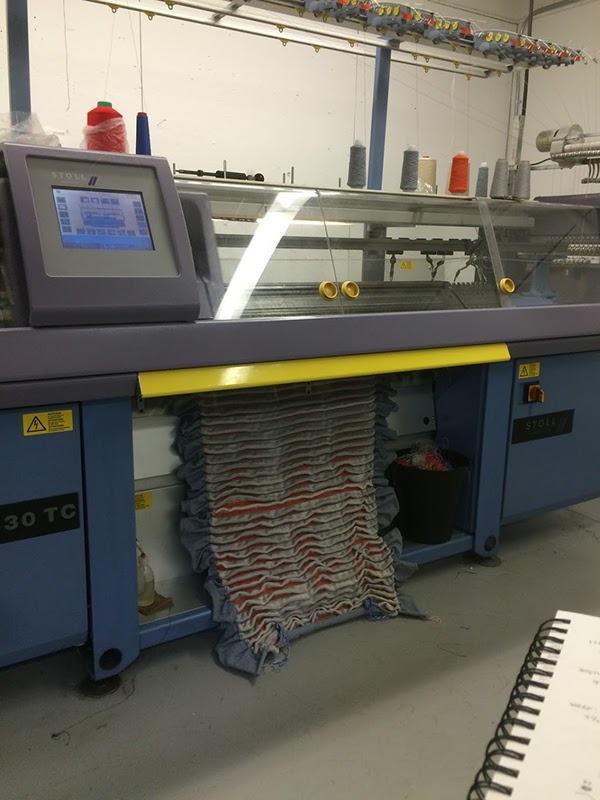 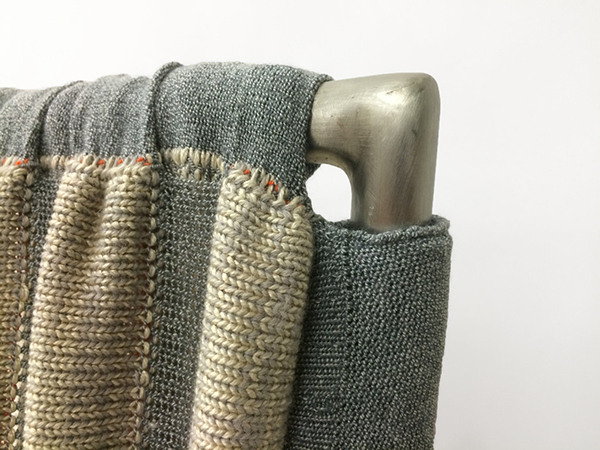 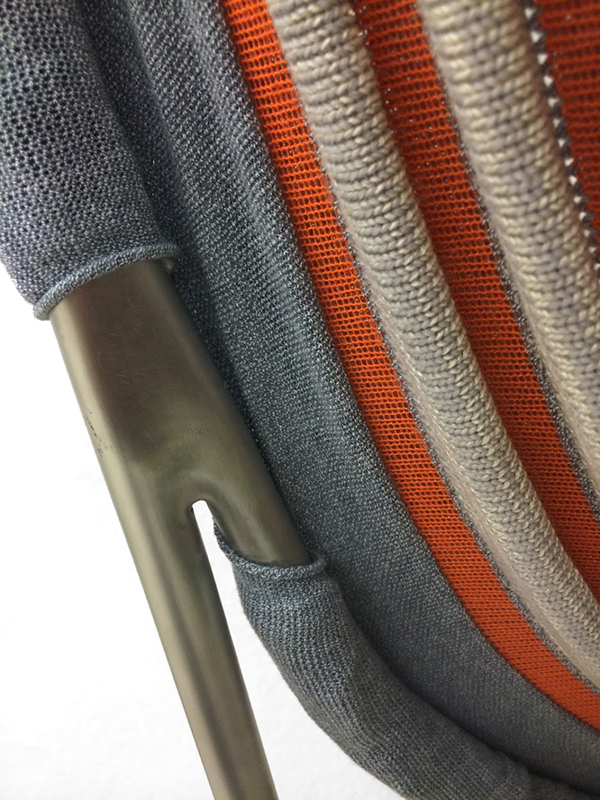 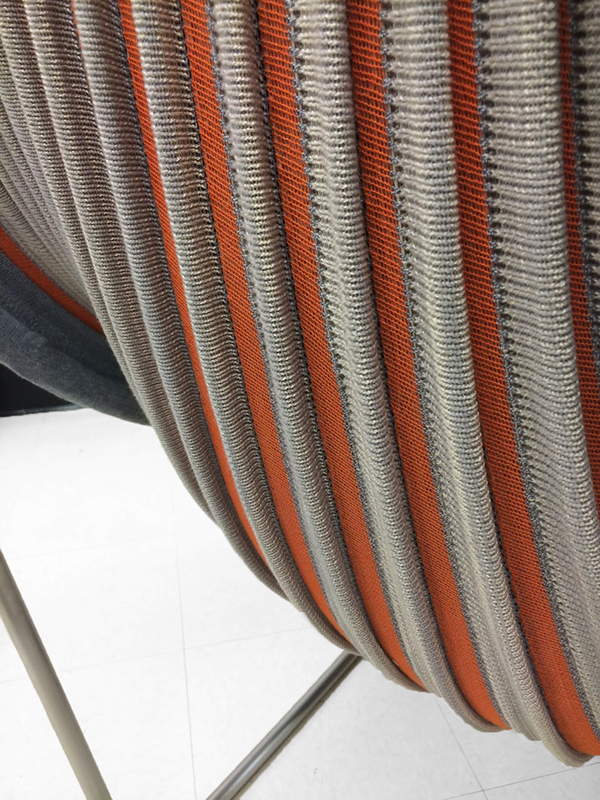 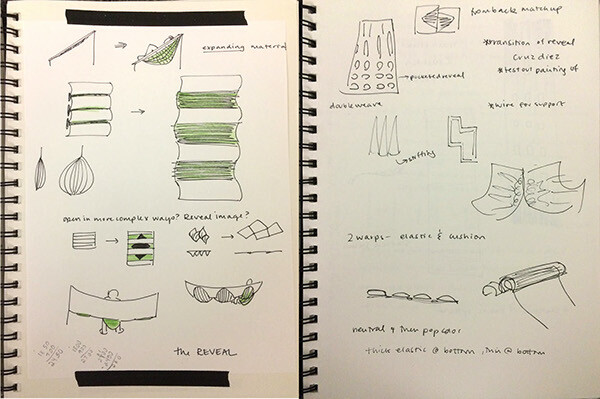 This industrially knit fabric was created to respond to human interaction and physically change when sat upon. 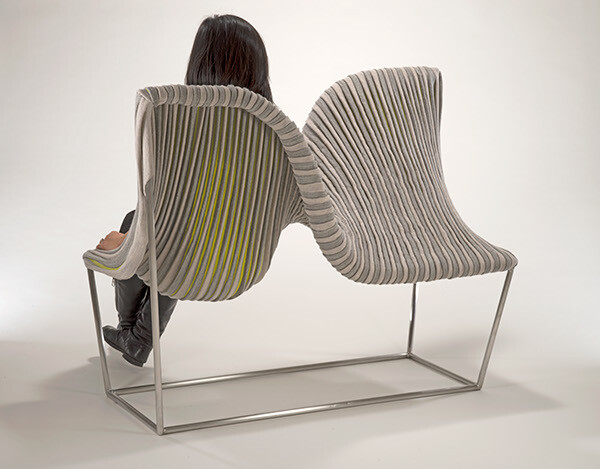 The tubes expand and reveal a hidden color as the chair flexes to support weight. 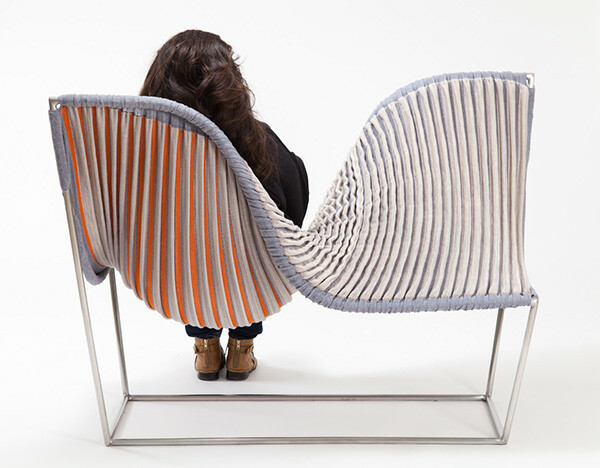 This dual seater was created in collaboration with Mayela Mujica MFA Furniture 2016. 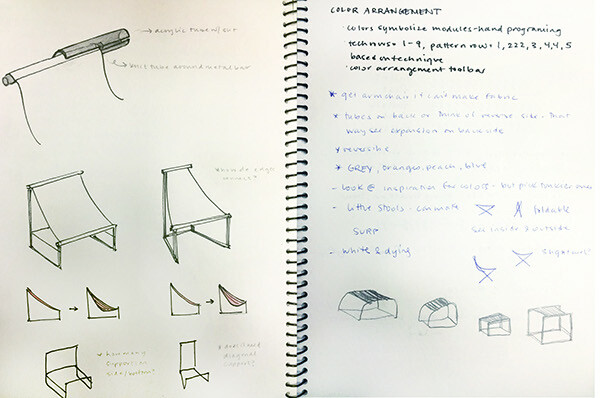 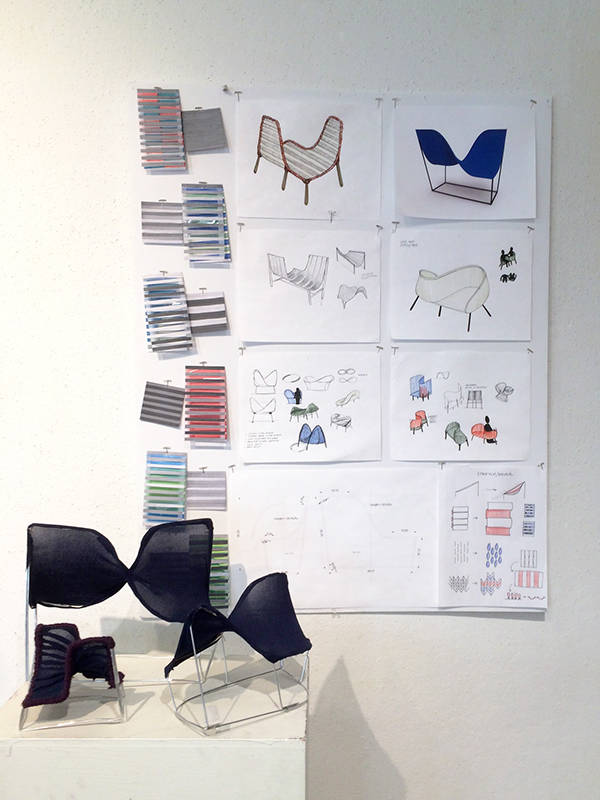 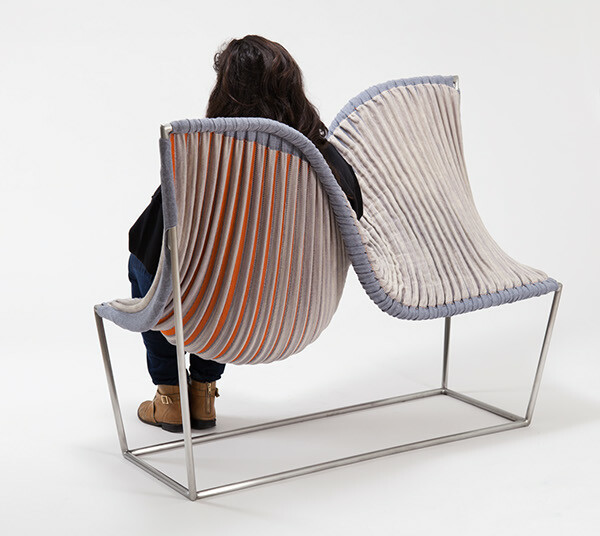 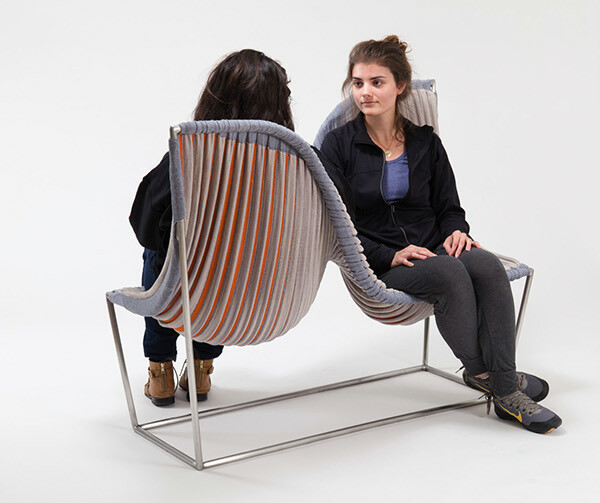 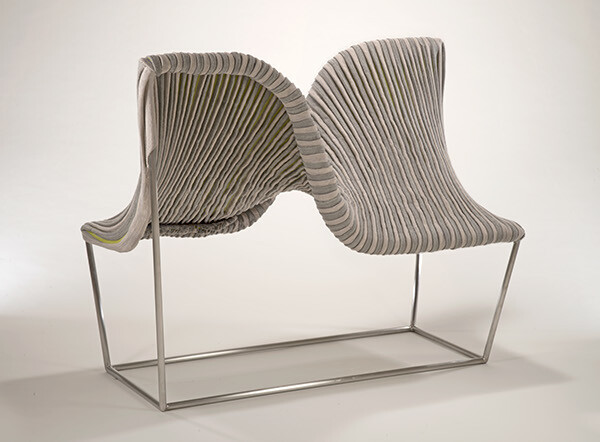 This chair was exhibited at XXI Triennale International Exhibition Milan 2016 as a part of the Milan Furniture Fair and at the "Narrative of Making" exhibit in New York.